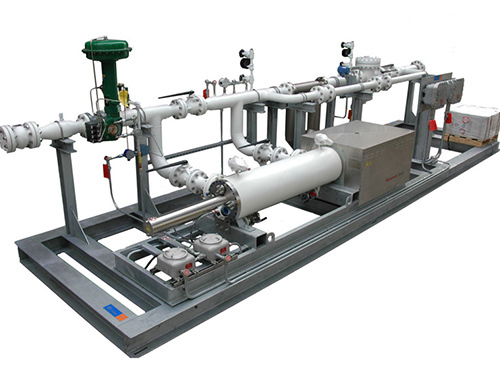 Petrofam offers all types of separators, for high and low pressures in both horizontal and vertical configurations. Filtration is commonly the mechanical or physical operation which is used for the separation of solids from fluids (liquids or gases) by interposing a medium through which only the fluid can pass. 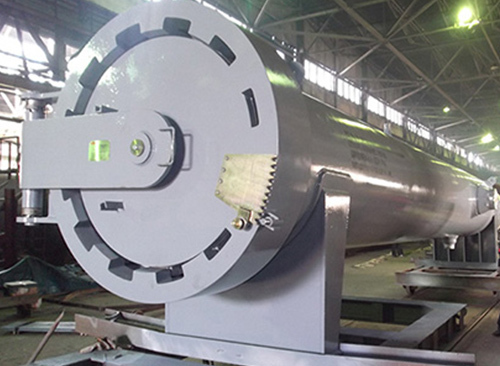 Oversize solids in the fluid are retained, but the separation is not complete; solids will be contaminated with some fluid and filtrate will contain fine particles (depending on the pore size and filter thickness). 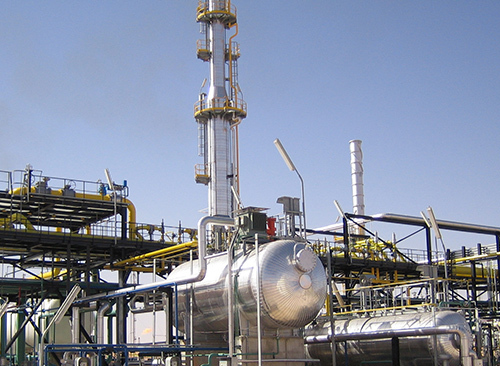 Crude oil introduced to refinery processing contains many undesirable impurities, such as sand, inorganic salts, drilling mud, polymer, corrosion byproduct, etc. The salt content in the crude oil varies depending on source of the crude oil. When a mixture from many crude oil sources is processed in refinery, the salt content can vary greatly. 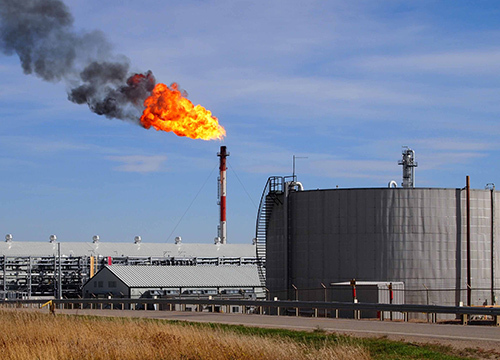 Sour natural gas compositions can vary over a wide concentration of H2S and CO2 and a wide concentration of hydrocarbon components. 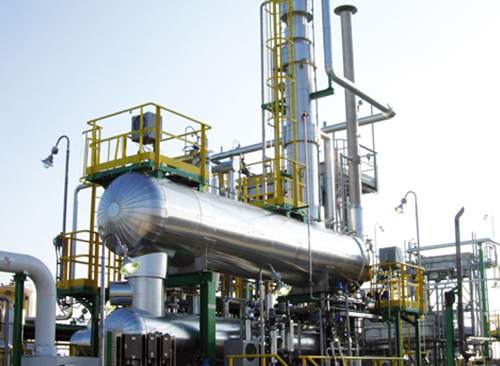 If the H2S content exceeds the sales gas specification limit, the excess H2S must be separated from the sour gas. 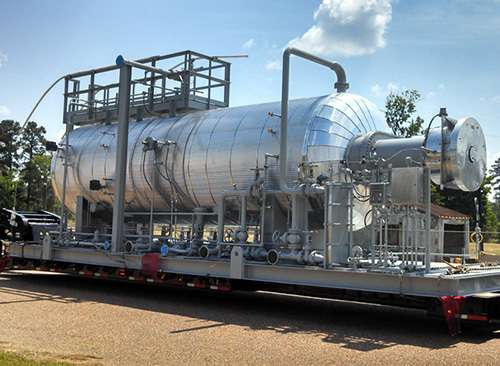 The removal of H2S from sour gas is called "sweetening." Petrofam offers consulting services, the supply of individual process units and/or revamping of old plants to the oil and gas market. 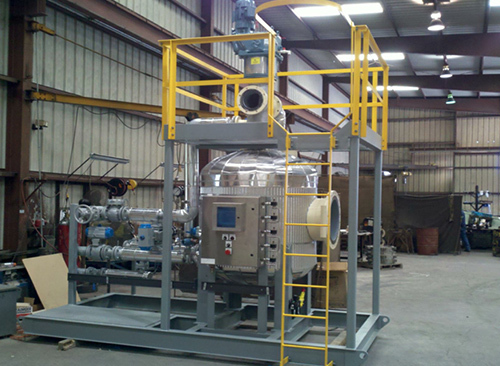 Our services range from basic design to detailed engineering and procurement services, the manufacture of single process equipment to the complete production of skid-mounted units or modules. 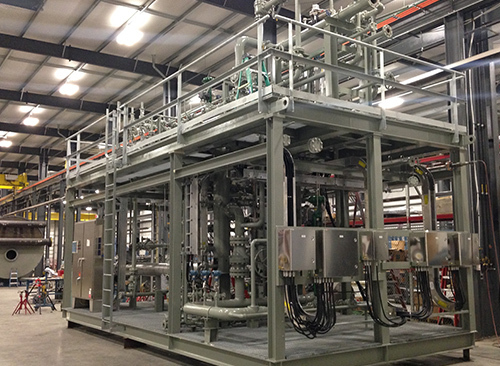 Petrofam equipment /packages technologies deliver industry innovations that raise both efficiency and quality. We provide standard or custom designed solutions for virtually any operating environment. Slug catchers play a vital role in natural gas pipelines; these systems often contain significant amounts of liquids that can damage related equipment. 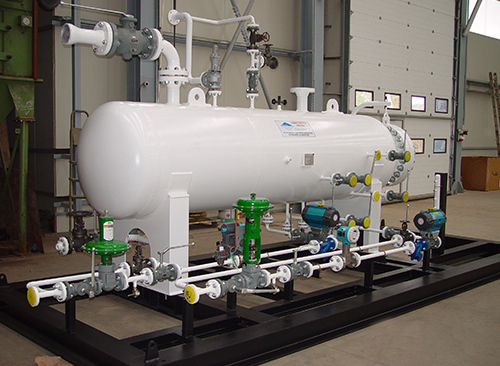 A slug catcher is designed to allow expansion of the gas stream, slowing the velocity and providing a settling area for the liquids. At Petrofam we specialize in the design and fabrication of slug catchers. Our team of experienced engineers, fabricators, and pipe fitters are professionals with an in-depth understanding of the intricacies of slug catchers. 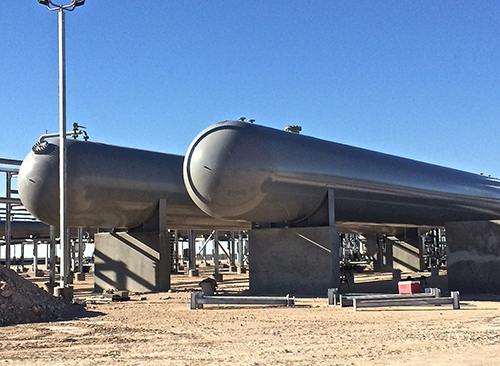 Petrofam works in conjunction with many of the leaders in the field of flare systems and our scope encompasses FEED, feasibility studies, process design, sizing, engineering and turnkey EPIC execution of elevated and ground flare systems. These are all based on individual process specifications, project and local site conditions. 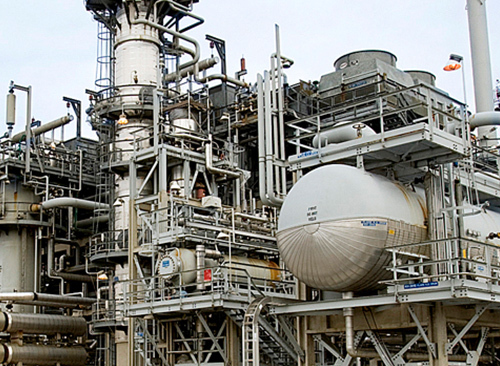 In the oil, gas, refinery and petrochemical industries, CIPs are commonly used in production facilities to prevent or eliminate a wide range of problems that might negatively affect the production flow and/or process completion. 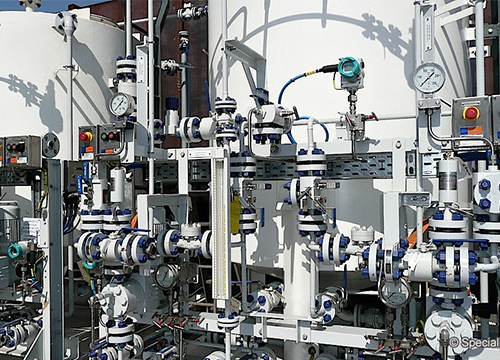 CIPs for a broad range of process applications such as production chemical injection, produced water treatment chemical injection and hydrate control. 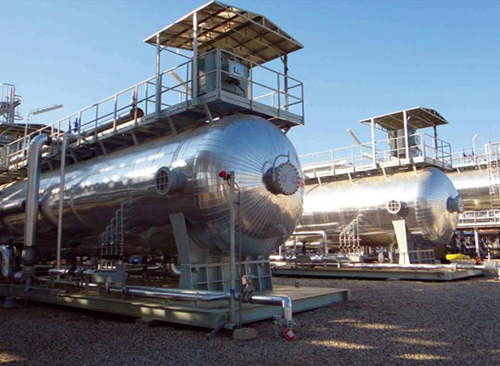 Petrofam combines customized engineering capabilities, reliable products, best-in-class consulting and project management with industry expertise and life-cycle services to provide innovative, integrated custody. Petrofam design and manufactures pressure vessels of varying capacity as per International codes like ASME Sec. VIII Div. 1, ASME Sec. VIII Div. 2, BS 5500 , DIN and EN Standards for leading industries when fabricated vessels from carbon steel, stainless steel, high-strength low-alloy (HSLA) steel, Titanium and a range of clad steel materials. 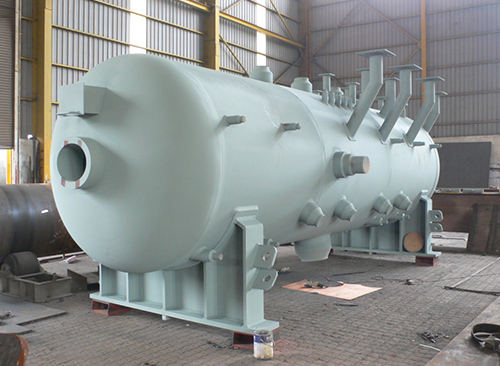 Shell and Tube heat exchangers are the most common type of heat exchanger used in oil and gas refineries and other large chemical processes, and is suited for higher pressure applications. The purpose of a pig launcher or receiver is to insert or retrieve pigs, spheres, or inspection tools from a pipeline. 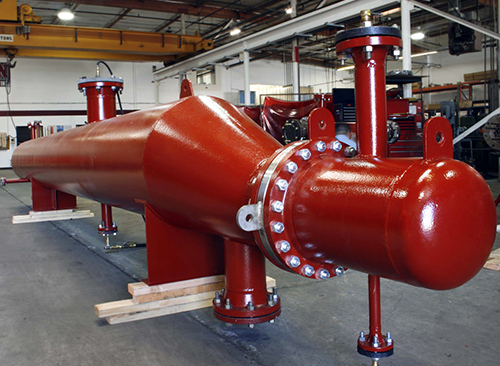 Launchers and receivers are designed to meet the specific requirements of a pipeline. This includes standard launchers and receivers right the way through to skid mounted pig traps units, including valves of assorted pipe work.